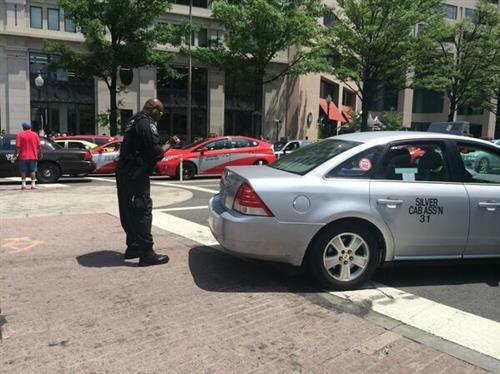 Upset cabbies took to their vehicles Wednesday to protest ride-sharing services such as Lyft, UberX and Sidecar. 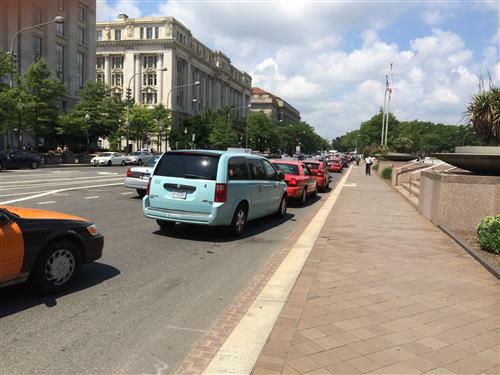 The result: gridlock in downtown D.C. 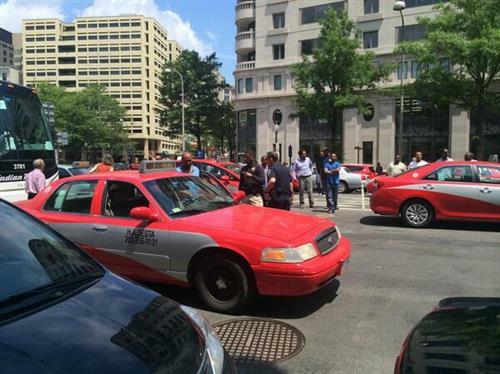 Taxi drivers protesting Uber and other ride-sharing services caused gridlock in downtown D.C. Wednesday. 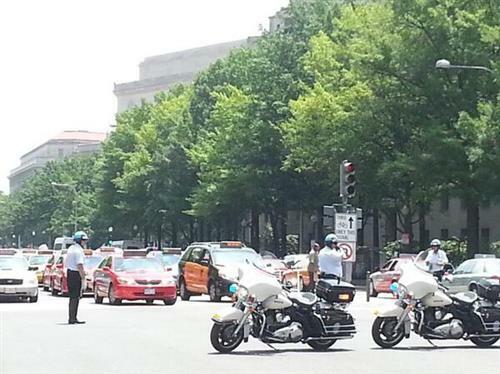 The protest forced Pennsylvania Avenue NW to close from 15th street to 13th Street, NW. 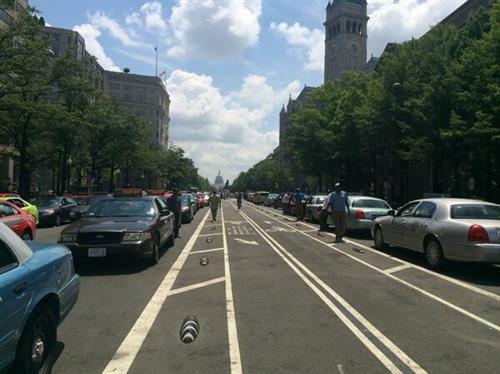 The gridlock associated with the protest cleared after 1 p.m. , according to WTOP Traffic. 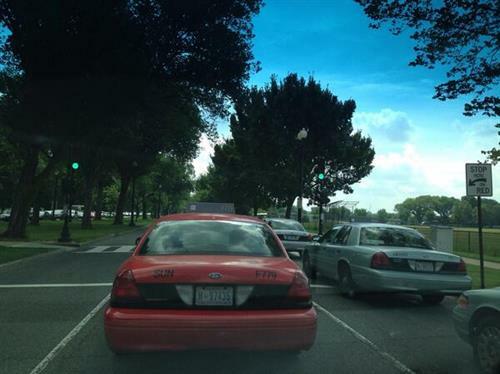 The drivers packed the roadways near the Capitol and Freedom Plaza. 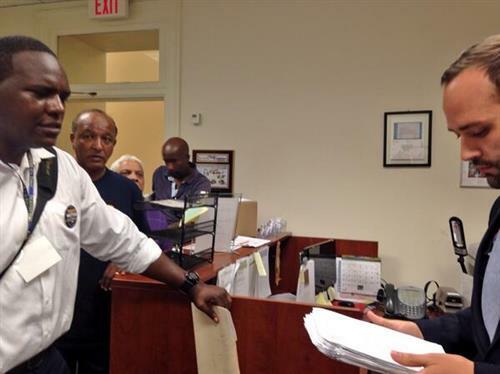 The drivers, who are affiliated with the Teamsters Union, are taking part in the “Fairness NOW!” caravan. 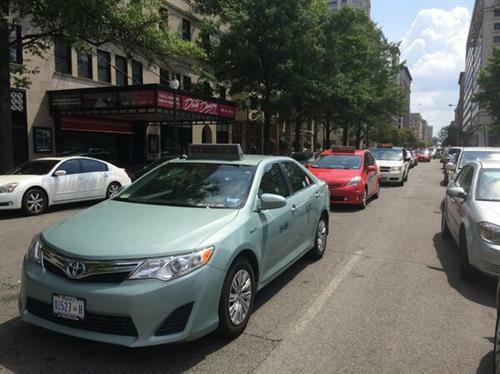 They want to stop Uber and other private sedan services from operating in the city, saying those app-based services have an unfair advantage over regular taxis. 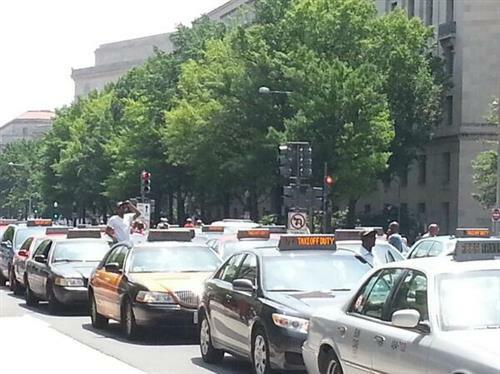 "The DC Taxicab Commission (DCTC) is currently working on updated regulations that will ensure a fair, balanced, competitive, and safe system for passengers and drivers. 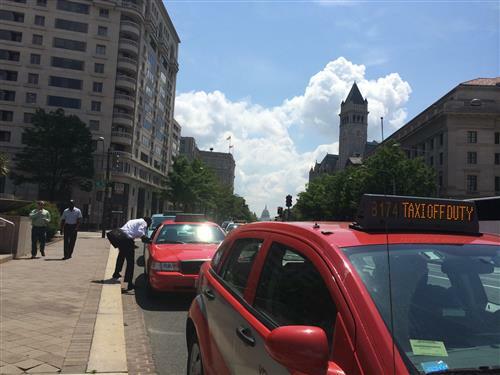 The District’s City Council is also currently considering legislation regarding the role of private vehicles in public transportation. 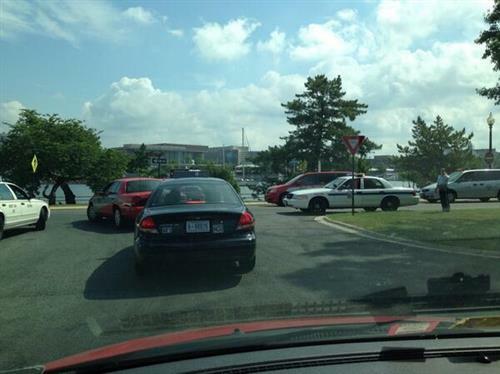 In the meantime, DCTC will continue to enforce against illegal street hails and violations of the reciprocity agreement between Virginia and Maryland. 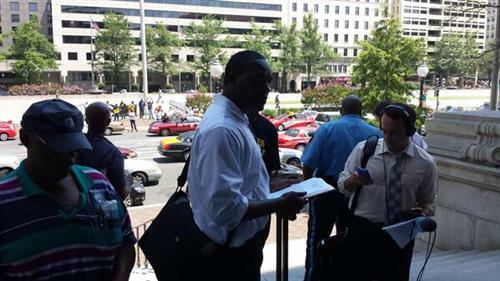 This includes private vehicles that are cited and fine as they have chosen not to register with DCTC; and without proper registration they are operating illegally." 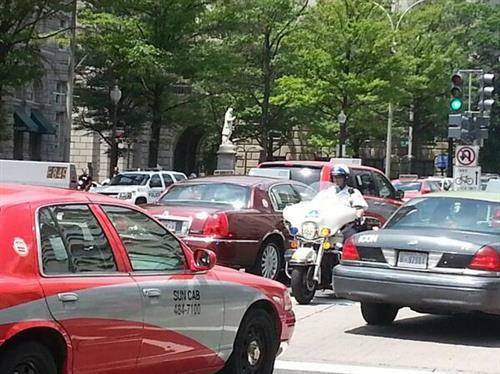 The protest started around 10:45 a.m. and was supposed to end at noon, but lasted longer. 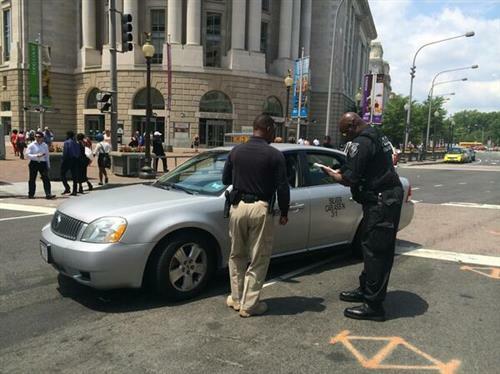 The District isn't the only place where taxi drivers and regulators and ride-sharing services are at odds. 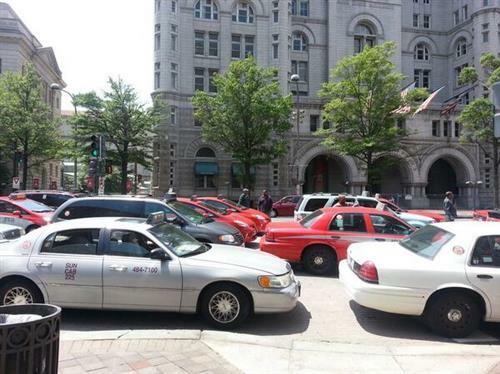 desist letters to Uber and Lyft, telling them to stop operating.